Ben joined Watsi on June 28th, 2015. Three years ago, Ben became the 1676th member to automatically support a new Watsi patient every month. Since then, 3,430 more people have become monthly donors! Ben's most recent donation supported Ikram, a toddler from Tanzania, to fund corrective surgery. Ben has funded healthcare for 44 patients in 9 countries. 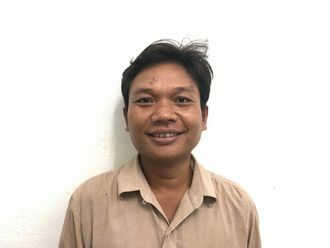 Vuthy is a potato farmer from Cambodia. He has one son and one daughter. He enjoys listening to social programs on the radio and listening to music. Vuthy has strabismus in both eyes. Strabismus is a misalignment of the eye caused by injury or dysfunction in the associated nerves and muscles. He has difficulty seeing and doesn't like how he looks. 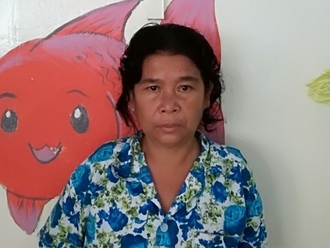 Vuthy traveled to our medical partner's care center to receive treatment. On April 26, surgeons at our medical partner, Children's Surgical Centre (CSC), will perform a corrective procedure to align his eyes. Now, Vuthy needs help to raise $292 to fund this procedure. He says, "I hope my eye surgery is successful so my eye looks nice and straight. I won't feel shy with my friend anymore. When I go outside I will have more confidence in how I look and can see."